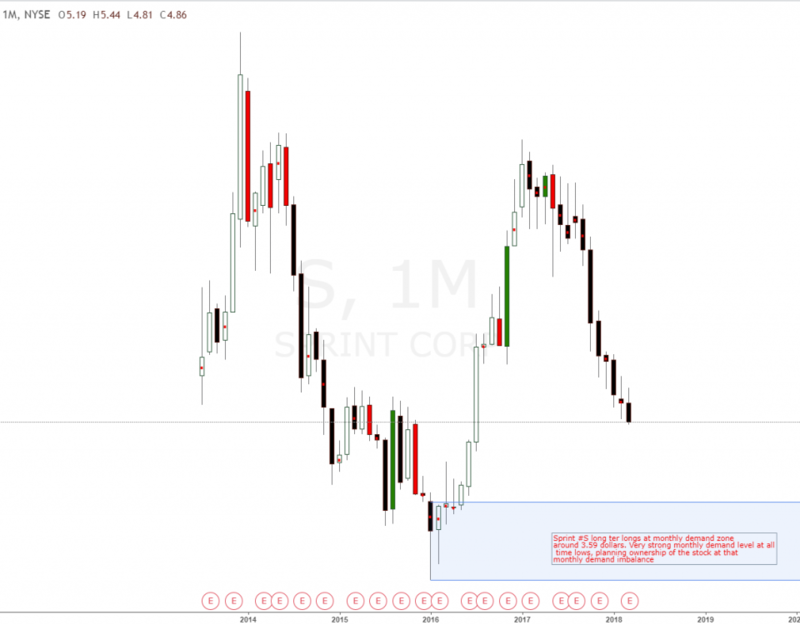 Sprint #S american stock long term longs at monthly demand zone around 3.59 dollars. Very strong monthly demand level at all time lows, planning ownership of the stock at that strong monthly demand imbalance. 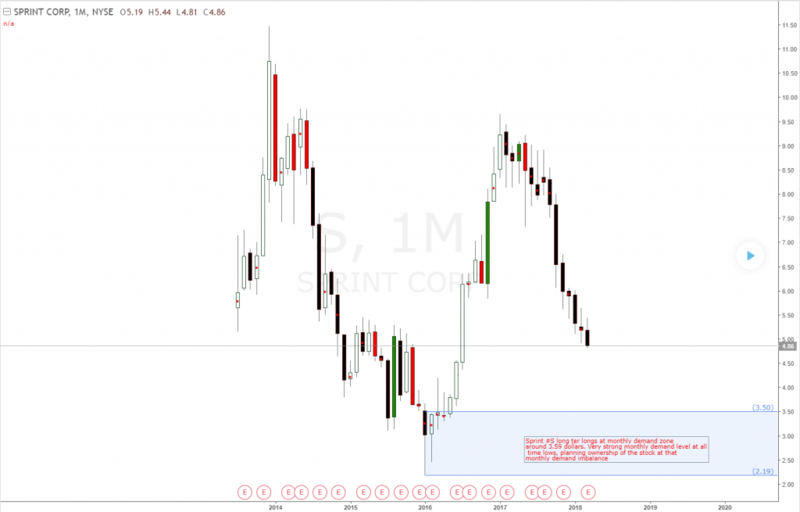 Adding a long put option as protection is the way to go.